In the past months I had the opportunity to shadow Dr. Klugman during two Memory Assessment sessions at the Hill Rise memory clinic in Newhaven. During my short visits there I had the chance to learn more about the process through which patients presenting with symptoms of dementia are diagnosed and how their condition is monitored by the clinic and the doctor. While for other diseases with a more defined aetiology the diagnostic modus operandi are relatively straightforward and defined, when it comes to dementia suddenly everything becomes much more complicated. With my PhD focusing on specific aspects of Alzheimer’s Disease and with a background in neuroscience I was well aware of this situation, however what I learned from these placements is that working on this subject doesn’t necessarily provide you with its full understanding. I was reminded that if the disease, its biology, aetiology, mode of action and origin are one side of the coin, the other side is represented by the people who have to live with this condition and by those who care for them. My first memory clinic was a check up session in which Dr. Klugman encountered patients that had been previously diagnosed and came to the facility to monitor the progress of their condition. It was a routine session that proved insightful in many ways, showing me how the disease affects first of all the person and how this extends to the family and carers, as well as the health system and the society as a whole. The second clinic was, on the other hand, a session in which the doctor met up with new referrals who presented symptoms of dementia but still lacked a complete diagnosis. I was shown how the diagnostic process is not the work of a single practitioner but the joint effort of a team of specialists, how the mixed aetiology of patients presenting symptoms of dementia makes it extremely hard to place them in defined categories and finally how much more effort is needed to fully understand the subject. My visit at the rehabilitation centre in Newhaven with Dr Osama Hammer was very impressive and gave me the opportunity to experience clinical aspects of dementia. Dr Hammer saw five dementia patients during my visit with varying degrees of the disease (from early to late stages). The different stages of the patients showed me the complexity of the disease and that care and treatment must be personalized for each individual. Dr Hammer was very motivated and took me through all cases. To my positive surprise, he also involved me in some tasks the patients had to perform during their assessment. I also enjoyed our fruitful discussion following the very intense afternoon and Dr Hammer seemed genuinely interested in my opinion of the individual cases. I am looking forward to follow up assessments with these and new patients in the near future. We all age, but why do some of us age better than others? This question is especially poignant for the field of cognitive ageing, with the prevalence of dementia rising each year. At the University of Sussex, the Ageing & Dementia team is exploring the molecular, neural and cognitive mechanisms through which a particular gene – the APOE gene – exerts its influence on cognitive ageing. The APOE gene consists of 3 variants (e2, e3, and e4), of which each person carries a pair (eg. e2e2 or e3e4). Those who carry an e4 variant of the gene have a higher risk for developing Alzheimer’s disease. 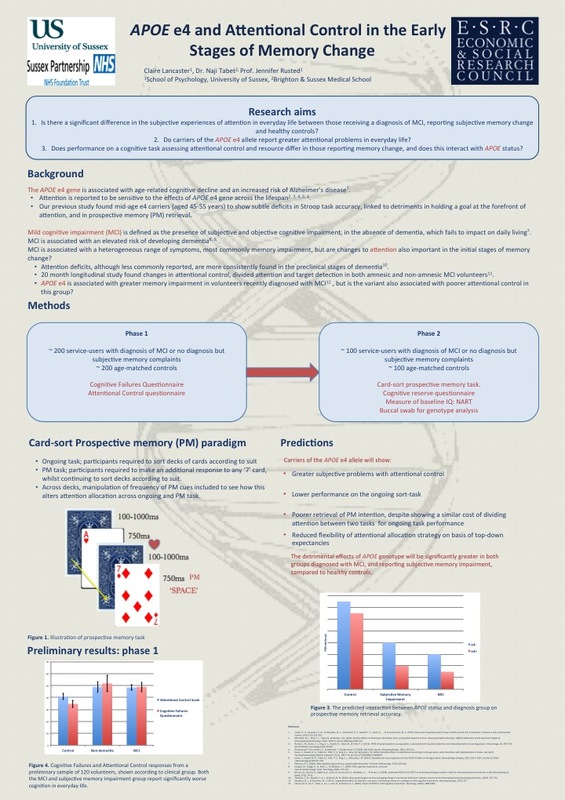 The gene is also associated with poorer cognitive ageing in healthy adults. 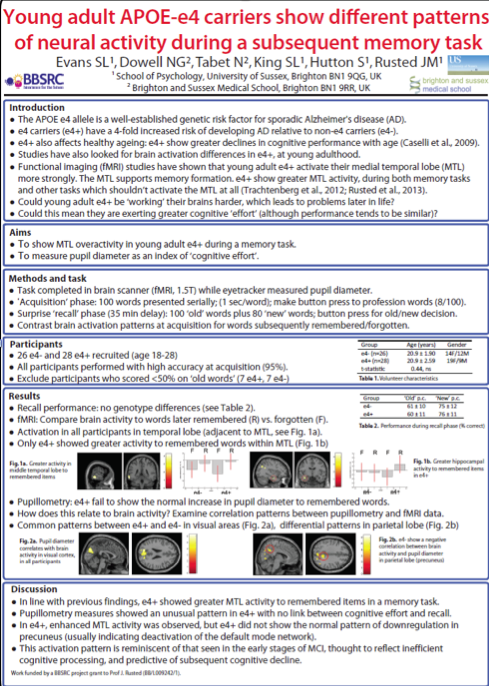 Of interest, the APOE gene is observed to influence cognitive functioning from as early as childhood. Therefore, a crucial avenue of research is exploring how these effects emerge and develop across the lifespan. We are currently seeking healthy adults aged 18-30 years or 45- 55 years to take part in a research study exploring the influence of APOE variants on our ability to do cognitive tasks that vary in how challenging they are. The study involves a computerized task in which volunteers are required to juggle various cognitive demands in order to succeed. In addition, volunteers will be asked to complete a series of short verbal tasks and questionnaires. Volunteers will also be asked to complete an inner-cheek swab used to determine APOE genotype. We operate under ethical rules that mean neither the participant nor the researcher knows the outcome of the cheek swab. All data will be kept confidential. If you would be interested in finding out more about the research, please contact claire.lancaster@sussex.ac.uk. 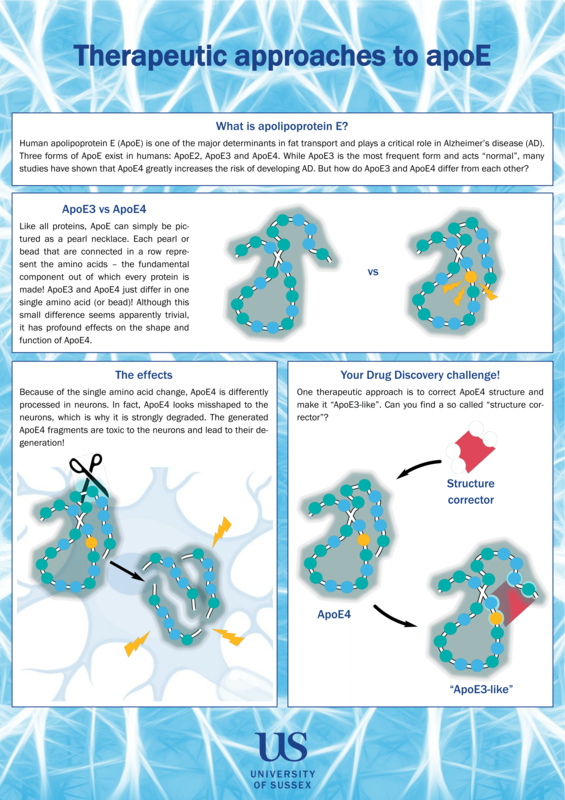 On May 10th, Sussex Doctoral School hosted a symposium recognising the role of Apolipoprotein (APOE) in the development and progression of Alzheimer’s disease. Carrying an APOE e4 gene is established to increase the risk of Alzheimer’s disease in older adulthood, as well as being associated with poorer cognitive ageing in general. This was an exciting event following the opening of the Alzheimer’s Society Doctoral Training Centre, which is supporting the research of 8 PhD students over the next 5 years. In addition to a variety of talks and posters throughout the day, focus was placed on promoting public engagement with ongoing research. Hepatitis C virus (HCV) is a major health burden in England (Public Health England, 2015). HCV treatment is a significant component in control of the disease but the neuropsychiatric side effects of the treatment have been associated with treatment interruption. We, and others, are studying how these side effects impact discontinuation rates, with particular interest in the cognitive side effects of treatment. According to recent evidence (Monaco et al, 2015) the hepatitis C virus (HCV) associated neurocognitive disorder (HCV-AND) involves executive function, sustained attention, working memory, verbal learning and verbal recall. Several factors, such as alcohol misuse, substance abuse, interferon treatment and HCV itself have been identified as contributors to HCV-AND. Interestingly, changes in neuropsychological performance in HCV patients occurred independently of HCV genotype and stage of liver disease. The same review described results of studies looking at brain changes. These studies suggested that HCV infection is associated with brain metabolic alterations due to the presence of HCV replication in specific areas of the brain (in the frontal cortex, basal ganglia and subcortical white matter), as in agreement with previous results in HIV and HCV co-infected patients. 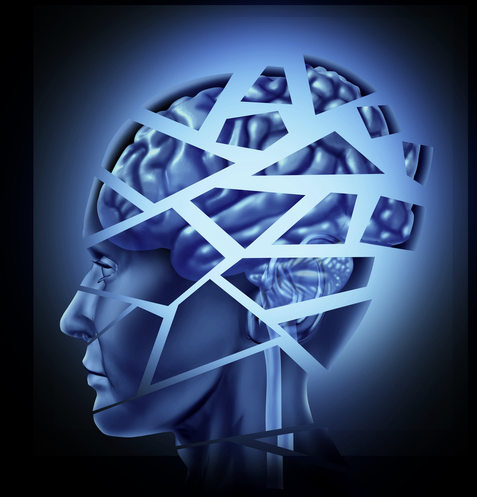 These findings are in line with the idea that HCV causes brain changes and activates mechanisms that increase the acceleration of cognitive impairment. Additionally, it seems that HCV and HIV are detected in the same brain areas. Despite the co-factors that contribute to cognitive dysfunction in HCV infection, the pathogenic role of the HCV virus in the brain is an issue of major importance to target treatment options. Monaco, S., Mariotto, S., Ferrari, S., Calabrese, M., Zanusso, G., Gajofatto, A., … & Dammacco, F. (2015). Hepatitis C virus-associated neurocognitive and neuropsychiatric disorders: Advances in 2015. World journal of gastroenterology, 21(42), 11974. The themes of the 1st day of the main AD conference were Frontotemporal dementia, Neurovascular dysfunction, and Inflammation & Immunity. One of many fascinating presentations on this was given by Jessica Duncombe, a 3rd year PhD student from the University of Edinburgh. Jessica Duncombe hypothesised that dysfunctions in neurovascular coupling may underlie changes in AD and normal ageing. The researchers looked at TgSwDI transgenic mice and their wild type littermates, focusing on the cortex. Interestingly, both wild type and transgenic mice showed an impaired vascular response to whisker stimulation as well as increased microglial proliferation. Whilst no difference in vascular response was seen between wild-type and transgenic mice, microglial proliferation was enhanced in the transgenic mice, who also showed significantly more amyloid at 24 months (although not 6 months). Professor Rusted presented a poster on day 1 of the conference, as shown below. The themes of the 2nd day of the main conference were Models of Neurodegeneration, New Treatments for Dementia, Mechanisms of Cell Death and Tau, and AB: Two Sides of the Same Coin? Sadly, one scheduled presenter was unable to make the conference, but Dr Jack Rivers-Auty from the University of Manchester was able to step in with an interesting talk on zinc deficiency, neuroinflammation, and AD. Dr Rivers-Auty had a very engaging presentation style and set of slides; he started the talk with a countdown timer, showing the difference in rate of neuron loss in a healthy brain, and an AD brain, with an associated image of progressive atrophy – a very effective demonstration. 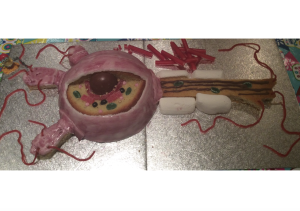 Dr Rivers-Auty looked at IL-1b, a potential molecular mediator of the inflammatory response, the production of which is regulated by inflammasomes including NLRP3. Zinc absorption reduces in ageing, with AD patients presenting with lower plasma and serum zinc levels. Dr River-Auty hypothesised that zinc deficiency causes NLRP3 sensitivity, resulting in neuroinflammation and exacerbating AD. Evidence for this comes from APP-PS1 zinc deficient (AD zd), APP-PS1 zinc normal (AD zn), wild type zinc deficient (WT zd) and wild type zinc normal mice (WT zn). AD zinc deficient mice showed poorer Y-maze performance and a lack of morris water maze improvement (between 3-6 months) when compared with AD zn, WT zd and WT zn mice. It appears that zinc deficiency resulted in earlier impairments in the AD mice alone, therefore seemingly exacerbating the AD phenotype. A particularly interesting poster was presented by Dr Chris Henstridge from the University of Edinburgh, reporting on the first post mortem analysis of a brain from the Lothian 1936 birth cohort. Having spoken with Dr Henstridge, it seems they now have four donated brains. As this cohort had APOE status and cognitive testing from 7 years old onwards, these upcoming post mortem analyses could be of interest. Whilst the conference content overall was quite molecular, it was still very good to know what is going on in the general area of AD research. 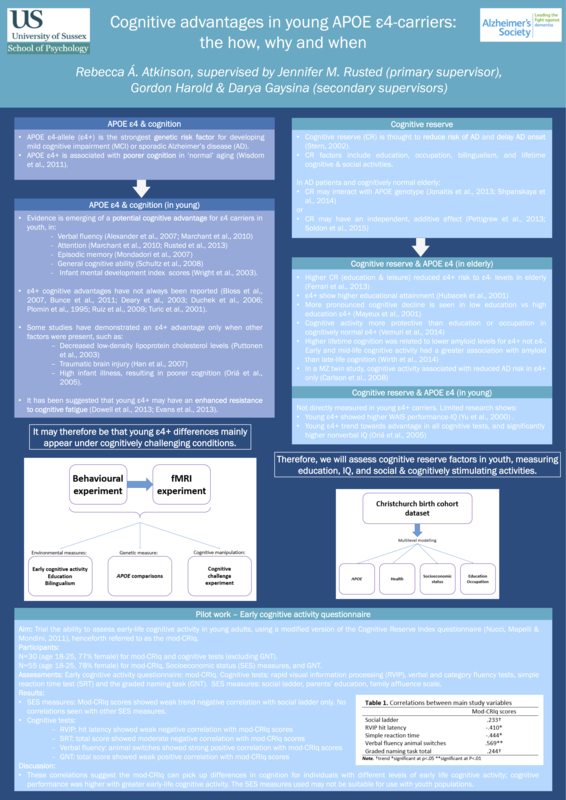 I found the conference useful for improving the way in which I communicate my research to others, and for taking note of particularly effective presenting styles (through both posters and talks). Moreover, it was very helpful in deepening my level of understanding of the type of research the other PhD students in the AD Society DTC will be undertaking, especially as one conference theme centred on drug discovery (related to Lucas Kraft’s research). This week I attended the annual ARUK conference, in Manchester. This comprised a PhD day, followed by two days of the main conference. The PhD day included a number of talks from current PhD students on their research, as well as talks on the current work of ARUK, and useful career related information. Feedback on ARUKs current engagement work highlighted the joined up network of dementia collaborations in the UK (more so than in most, if not all, other countries). A recent ARUK survey demonstrated that only 23% of the public recognise that dementia is driven by disease processes, so a lot of their recent engagement work is aiming to increase understanding of Alzheimer’s disease, such as their very successful recent “share the orange” campaign ( #sharetheorange). The ARUK engagement feedback was useful in emphasising the reasons that we, as researchers, should be involved in public engagement – reasons as varied as ensuring the continuation of research funding; being able to offer informed input into dementia related conversations with the public, charities and policy makers; improving overall communication skills; and potentially connecting with future collaborators. Potentially of use, ARUK offer a free “researcher toolkit” to any researchers (not just those that are ARUK funded) which contains standard pathology diagrams to use in presentations, amongst other things (just email press@alzheimersresearchuk.org). Furthermore, they have a great game which involves shooting amyloid, aimed at engaging kids (http://www.alzheimersresearchuk.org/amyloids/#play-game). There were a number of well presented, engaging and interesting talks and posters from PhD students. One talk that particularly caught my interest was by Claire Harwell, The Babraham Institute, Cambridge on the “Presynaptic Disruption in Organotypic Hippocampal Slice Cultures as a Model of Early and Progressive Amyloid Pathology”. In her talk, Claire Harwell presented a novel and innovative model for slice. These slice cultures combine some of the advantages of both in vivo and in vitro work, as they allow for the maintenance of cellular composition, and neuronal architecture, but with the ability to manipulate, sample and live image the slices. This is achieved through placing hippocampal slices from 7 day old mice into culture on membrane inserts – these are then able to survive for up to two months. Furthermore, this removes the problem of confounds due to inflammatory responses in acute studies. In transgenic (versus wild-type) mouse cultures, they were able to see progressive amyloid growth, associated with depletion of presynaptic proteins. No fibrillar plaques were seen, suggesting that these are not needed for synaptic disruption. This talk was especially interesting, as it relates to the work of Luca Biasetti, another 1st year PhD student in the Alzheimer’s Society Doctoral Training Centre. Luca is using the same model, but with rat brain slices. In addition to the very interesting research that was presented, the most useful thing about the PhD day was probably being able to see the level that other PhD students were working at (at their respective PhD stages), speak with students in similar areas of research, and compare notes on the PhD process with those in more disparate fields. This was both confidence boosting, and reassuring. Generally, this was a very interesting and informative day. 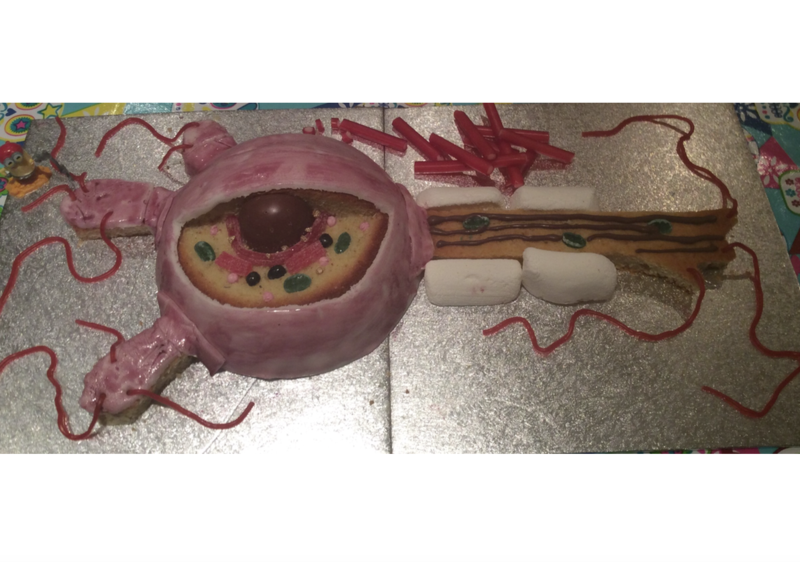 Day Bake-off with this wonderful Neuron Cake! Four members of the lab group attended the regional meeting of the National Institute for Health Research this week. Talks covered a wide range of topics including the importance of involving patients and the general public in the design of clinical research, an introduction into health economy, and an insight into the clinical trials being ran nationally at the moment. 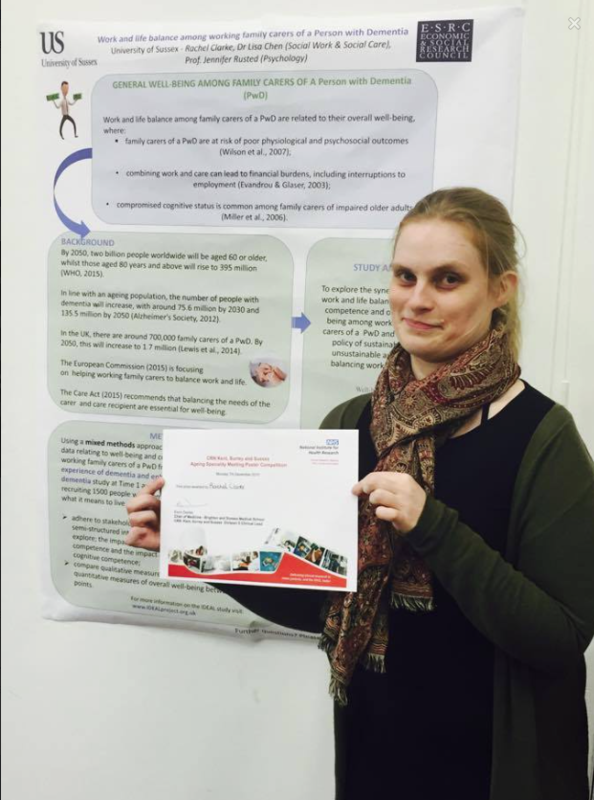 Rebecca Atkinson, Rachel Clarke and Claire Lancaster all presented posters of their research, with many congratulations going to Rachel for winning the prize of best poster! To view the posters, please click the links below. I have been lucky enough to secure a studentship which started at The University of Sussex in September. It is linked to my previous role on the IDEAL study – Improving the Experience of Dementia and Enhancing Active Life: living well with dementia (http://www.idealproject.org.uk/). The IDEAL study is a five year study which began in early 2014 and is recruiting a sample of 1500 participants with dementia and 1000 caregivers to explore what it means to live well with dementia from the perspective both of thes person with dementia and the carer, collecting data over three time points. The IDEAL study is analysing quality of life, well being and satisfaction with life through a series of quantitative assessments. My PhD will be using a mixed methods data analyses to explore the work-life balance of employed caregivers from the IDEAL study. In addition to analysing data that has already been collected, fieldwork will principally consist of a single interview with a sample of around 50 participants, and will explore the challenging and positive aspects of combining caring with employment, how employers are facilitating this process and what employment legislation can do to improve this process. This study will enhance the dataset by adding a new component which assesses the effect of work life balance outcomes on carers’ cognitive function, including memory and attention. Findings from this study will also inform policy makers who develop programs to assist caregivers who are juggling multiple roles. I am very excited to be part of an absolutely fascinating, topical area of research and a major project generally which will contribute to dementia research for a long time. I’m also looking forward to the process of completing the PhD which will give me the chance to stretch my skill-set by integrating psychological, cognitive and sociological perspectives, and the opportunities this PhD will present following completion. And so it begins…..